Not sure which ward you are in? 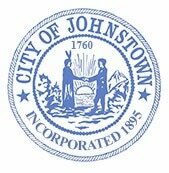 View the City of Johnstown Ward Map to find out! If you have questions or concerns regarding your pickup please call the City Engineer’s Office at 736-4014. Must be placed in front of your residence no later than 6:30 a.m. on the day of your scheduled collection. Our employees begin working at 6:30 a.m. and garbage collection begins at that time; there is no scheduled route or time your garbage is collected so please be sure to plan accordingly. Clear plastic bags must be used. Only household garbage is accepted. Examples of items not considered garbage are: yard debris, construction material, appliances, electronics, paint, needles, etc. If your scheduled collection day falls on a holiday. We will do a double pickup either the day before or day after the holiday; Notices are sent to the Leader Herald to inform the public of the pickup day. Residential pick-up only. No businesses, organizations, etc. 8:00 a.m. - 4:00 p.m.